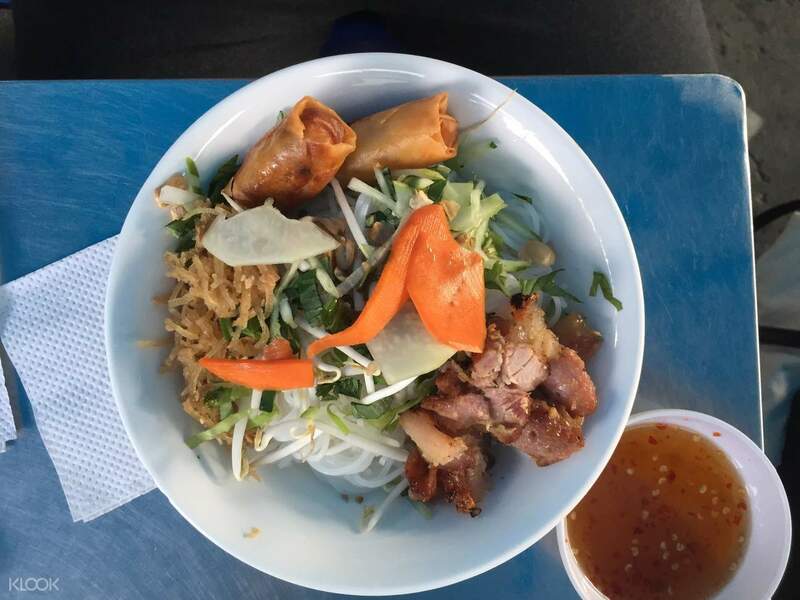 Join a celebration of Vietnamese food culture on a delectable foodie tour around Ho Chi Minh! Choose a morning, afternoon, or evening tour and discover delicious dishes and weave through local market stalls to get a feel of the life of a local. 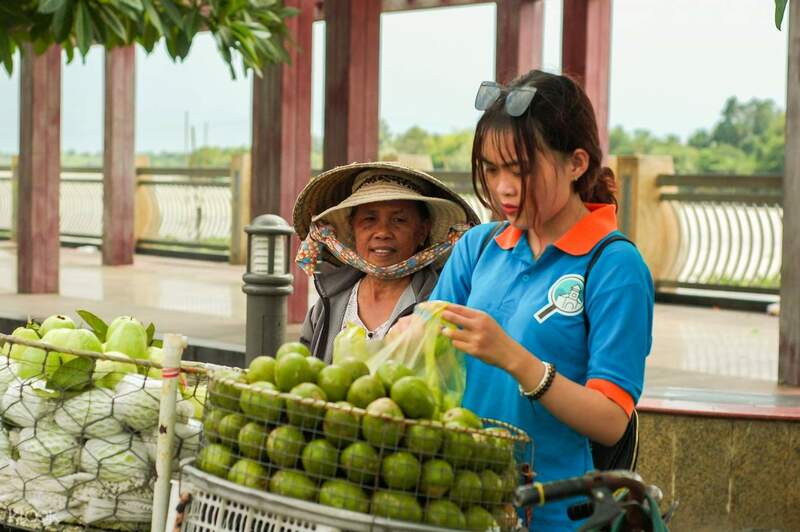 Your tour, which will take you around via scooter, will take you through a selection of must try foods like Vietnamese broken rice, grilled and rolled rice paper, tropical fruits, and more. 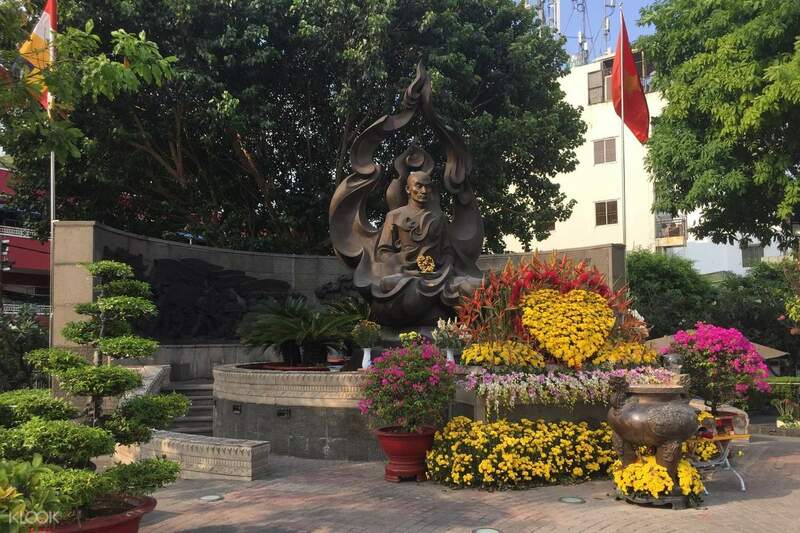 More than just food, you'll also have the opportunity to learn about Vietnam's culture and history when you make quick stops at the Viet Nam Quoc Tu Pagoda, or The Venerated Thich Quang Duc Monument depending on your chosen package. This half day tour will surely satiate your hunger for food and thirst for knowledge all in one go! The best way to experience Saigon is by night and on a motorcyle! The food were beyond our expectation, and this would not be complete without our amazing tour guides Sang & Yan! They speak very good english and are very fun to be with! Thank you for the experience! We will definitely go back! The best way to experience Saigon is by night and on a motorcyle! The food were beyond our expectation, and this would not be complete without our amazing tour guides Sang & Yan! They speak very good english and are very fun to be with! Thank you for the experience! We will definitely go back! Excellent tour, and great guy (Long). He took me all over Saigon, including to the oldest coffee shop in the city which was by far my favorite part. He also made sure that we stopped at places that were vegetarian friendly, which is actually not too difficult in HCMC. Excellent tour, and great guy (Long). He took me all over Saigon, including to the oldest coffee shop in the city which was by far my favorite part. He also made sure that we stopped at places that were vegetarian friendly, which is actually not too difficult in HCMC. Thoroughly enjoyed the private tour! Long was the consummate guide -- very nice, flexible, and it felt like hanging out with a friend. 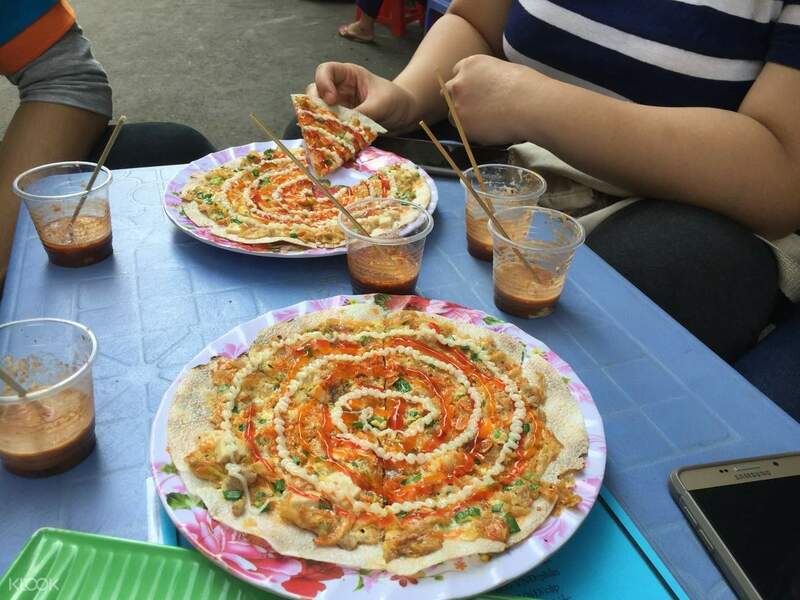 We tried a lot of dishes and he was open to adjusting to my preference given that this is my 3rd time in Vietnam. I highly recommend this tour to everyone, solo traveler or otherwise, and Vietnam neophyte or not. Thoroughly enjoyed the private tour! Long was the consummate guide -- very nice, flexible, and it felt like hanging out with a friend. We tried a lot of dishes and he was open to adjusting to my preference given that this is my 3rd time in Vietnam. I highly recommend this tour to everyone, solo traveler or otherwise, and Vietnam neophyte or not. Definitely one of the best tours we've ever had! They catered around our dietary needs and what we wanted to eat. They brought us to places we didn't even think of and we ticked off a lot of stuff on our 'things to eat list'. it started to rain during the middle of our tour but they kindly provided raincoats for us to wear. Definitely one of the best tours we've ever had! They catered around our dietary needs and what we wanted to eat. They brought us to places we didn't even think of and we ticked off a lot of stuff on our 'things to eat list'. it started to rain during the middle of our tour but they kindly provided raincoats for us to wear. It's my 3rd time visiting Saigon as a tourist but I was still mid blown by the experience. Doing this tour was the absolute best decision I have made as a visitor. The reviews are right, I would never have been able to visit the spots if I were by myself. To top off the great food, it's a private tour. It's a personal experience and you're not being herded like sheep as it is group tours. You can also let your tour guide know any special requests you may have (I do not eat pork so he gladly made sure this was considered). My tour guide, Lam, is also very personable and very smart. 5/5 Stars! 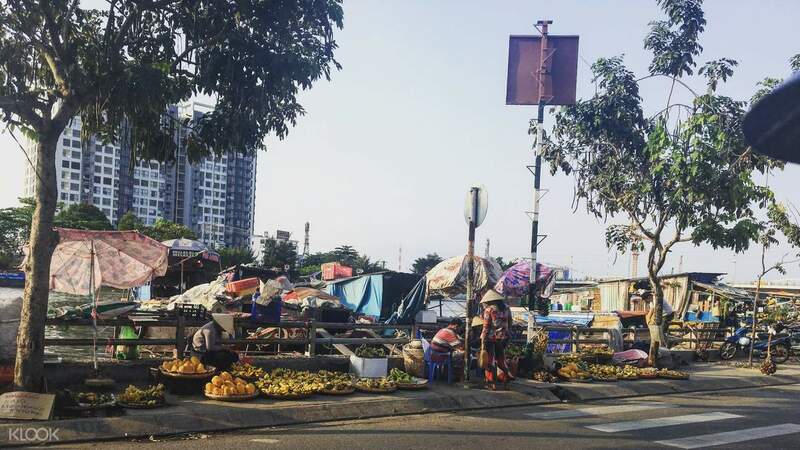 It's my 3rd time visiting Saigon as a tourist but I was still mid blown by the experience. Doing this tour was the absolute best decision I have made as a visitor. The reviews are right, I would never have been able to visit the spots if I were by myself. To top off the great food, it's a private tour. It's a personal experience and you're not being herded like sheep as it is group tours. You can also let your tour guide know any special requests you may have (I do not eat pork so he gladly made sure this was considered). My tour guide, Lam, is also very personable and very smart. 5/5 Stars!